Yet another sibling. The current G4 family from LG already got a new member with the G4c. Now we get the next sibling. 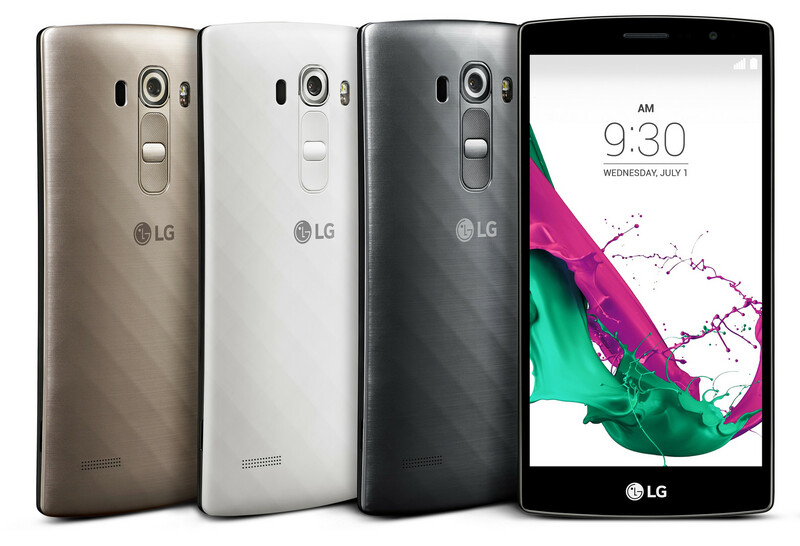 The LG G4s sits right between the top model and the compact version in terms of size and features. Still, the G4s cannot convince us completely, despite the good genes. Model: The G4s, a new addition to the LG G4 series, is an affordable alternative to the LG's flagship model from 2015. Following the release of the LG G4c, which stands for "compact", the G4s is a blend between the two models in terms of size and weight and promises mid-ranged price and capability. Despite weaker specs than the G4, light and medium users may find the G4s' Qualcomm Snapdragon 615 octa core processor to provide sufficient performance. This model also comes with Android 5.1.1 Lollipop, along with useful software tweaks such as a customizable Smart Notice widget, Dual-Window multitasking as well as a unique Knock Code locking method that is currently only available in LG phones. Its 5.2 inch IPS display features a resolution of 1920 x 1080 pixels (Full HD) and is larger than the G4c's 5.0 inch display and smaller than the G4's 5.5 inch display. Although the rear camera's resolution of 8 MP is lower than the G4's 16MP, the G4s is still capable of recording 1080p videos (Full HD). Other notable features include a 5 MP front camera, a removable 2300 mAh battery, 1.5 GB RAM, and 8 GB internal memory. The storage capacity can be expanded with a microSD card. The G4s shares a similar curved diamond-shaped design as the previous models, with a nice polished look. The slight arc at the y-axis allows easier handling and prevents scratches on the screen. This model is available in Metallic Silver, Ceramic White, and Shiny Gold. Qualcomm Adreno 405: Integrated graphics card for ARM based SoCs. Depending on the used SoC the clock rate is around 500 MHz and features 48 unified shaders. Only some 3D games with very low demands are playable with these cards. » Further information can be found in our Comparison of Mobile Graphics Cards and the corresponding Benchmark List. Mid-range ARM SoC with 8 CPU cores (Cortex-A53, 64-bit capable) and an Adreno 405 GPU. Manufactured in a 28 nm LP process. 81.67%: This rating should be considered to be average. This is because the proportion of notebooks which have a higher rating is approximately equal to the proportion which have a lower rating.